The king of K-pop is here. TVXQ returned to the Korean music scene with a long-awaited sixth album “Catch Me.” The duo shared what they have been doing and what is in their newest album at an interview with The Korea Times. U-Know, 26, and Max, 24, appeared for the interview in casual attire — U-Know in black sweat shirt and silver pants and Max in red knit sweater and shorts. They were relaxed, yet exuded professionalism. The sixth album “Catch Me” came a year and nine months since their previous album “Keep Your Head Down” was released in January 2011. “When we perform overseas, we feel responsible for what we do and sometimes lonely. We are jumping up and down with joy for presenting a new album in Korea,” U-Know said. “We were not just resting for the last 21 months. I think we have sang ‘Keep Your Head Down’ for more than 100 times,” Max added.rnTVXQ was busy indeed — the boy band has been touring Paris and New York as part of SMTOWN Live concert in 2011 and drew a record audience of 550,000 to their “Tone” concert touring 11 cities in Japan earlier this year. When the music video of “Catch Me” was released online on Sept. 24, TVXQ reconfirmed their position as the best in choreography.rnThe song is based on the Dutch electronic sound backed by a dubstep put together to generate a catchy tune performed in a remarkable dancing style. The video received more than 4.8 million hits within a week of its posting online. Choreographed by Tony Testa, who’s had stints with both Michael Jackson and Kylie Minogue, the dance is a classical portrayal of an inside-out nature of a man. “The choreography tells the story of a man exploding with anger and calming down,” U-Know said. “It’s like Max and I are each other’s mirror, reflecting each other. The emotion of this man is expressed through us and our dances.” Whilst the movements may appear extremely difficult because of the need to maintain perfect harmony with the dancers, through the arm-linking twist and turns, TVXQ does it excellently. Indeed, with such amazing skills and charisma, it is easy to understand why they are the top. The performance is a result of excruciating efforts. “It is difficult to simultaneously sing and dance on a live stage, but our approach towards such shows is a mindset that literally compares to a case of our lives being at stake,” according to U-Know. The secret of TVXQ’s success might be hidden in what U-Know said, “We could go easy, but we prefer to reach the limit and break it. We feel a sense of accomplishment once we advance through it.” This is the second album of TVXQ as a duo, since three members Xiah, Micky and Hero left the group in 2009. Being two instead of five in some ways imposed some changes on the group. 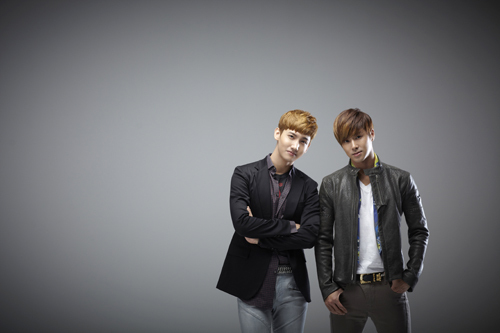 U-know and Max were rather calm when they discussed the merits and demerits of being onstage as a duo. “What we can show as a five-member group is certainly different from what can as a duo. When we were five, other members could complement weakness, but now it’s just two of us. So when one is singing the other must be dancing,” U-Know said. But they also made noticeable progress through relentless practice. “At first, we wondered whether the two of us could sing some 30 songs in a solo concert, rather remarkably we have lived up to expectation. Opinion on this is definitely divided. Nonetheless, we hope that fans will see us as just TVXQ,” U-Know stressed. “We want to show how we have grown up at the concert and it could be a reward for the long wait,” Max said. Further details on their world tour will be announced later, but the duo was looking forward to possibly performing in England and France as well. TVXQ turns 10 next year and their journey as the group leading hallyu will continue. Max was prudent in defining the music of TVXQ. “I think it is arrogant for us to decide what our music is,” Max said. “We are still undergoing trial and error and we will in the future, as we are still finding what we can do best.”rnU-Know wanted to be remembered as TVXQ “always pushing for changes.” “For ‘Catch Me,’ we tried to come out of our shell. If the listeners realize that we tried something new, it would be enough for us,” U-Know said.